2pc. 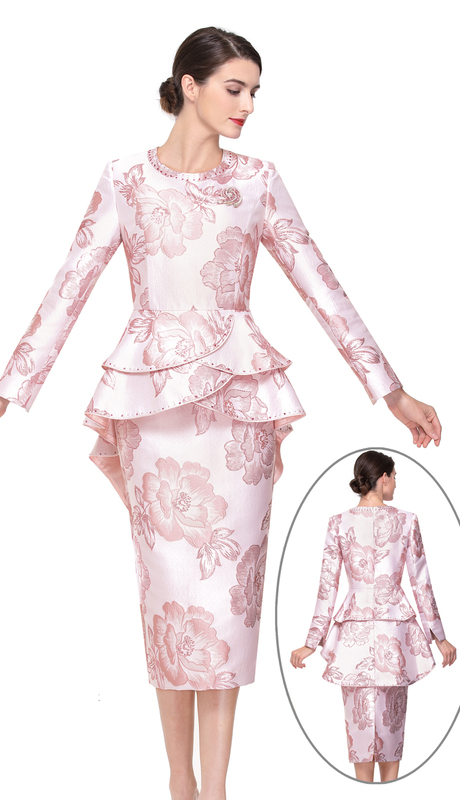 Novelty Floral Fabric Hi-Lo Layered Peplum Jacket and Floral Skirt. 2pc. 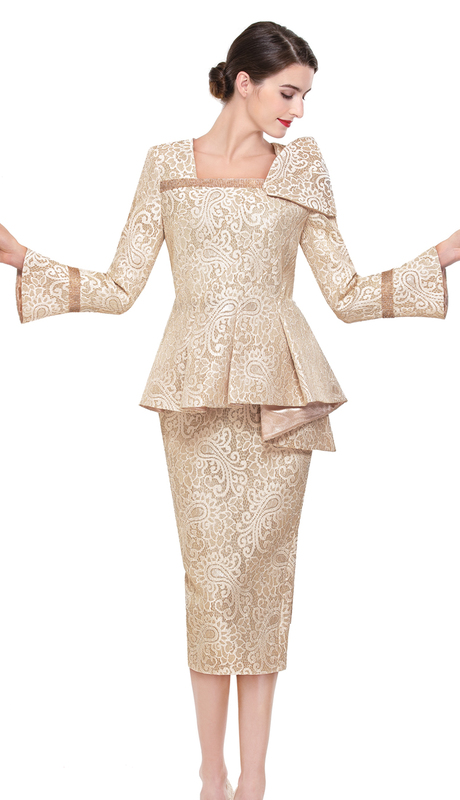 Womens Lace Embellished Suit with Peplum Jacket with Bell Sleeves and Bead Strips and Shoulder Cap Over Lace Embellished Skirt. 1pc. 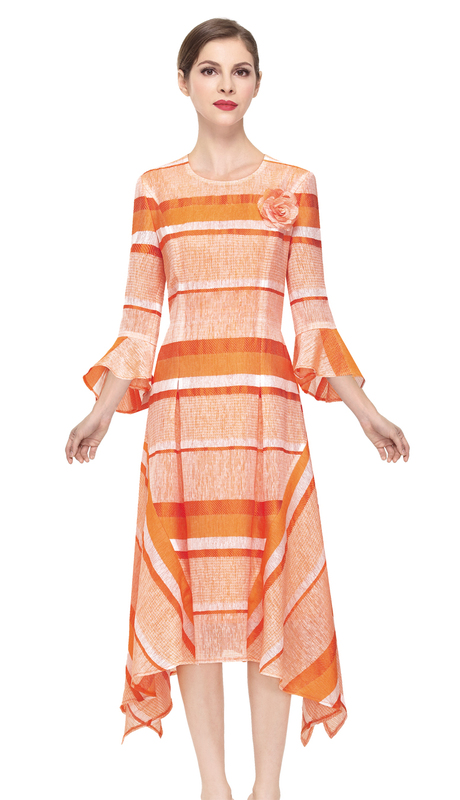 Classic Crepe Elegant and Stylish Church Dress with Handkerchief Detail on Cuffs and Hem. 1pc. 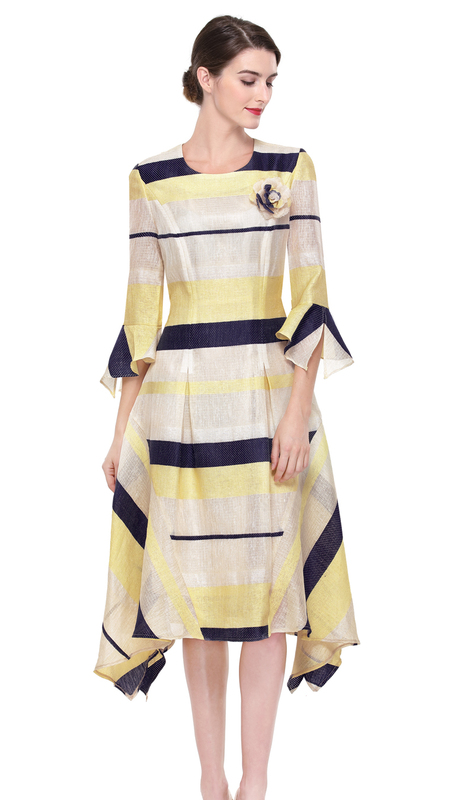 Striped Novelty Fabric Tonal Dress with Flower Brooch,3/4 Bell Sleeve and Sharkbite Details on Dress Hem. 2pc. 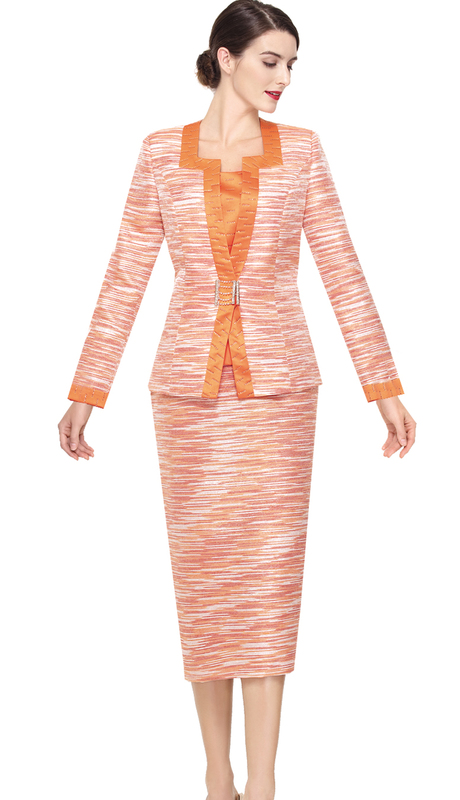 Novelty Fabric Color Blocked Womens Suit with Asymetrical Detail on Jacket and Skirt. 2pc. Silky Twill with Handkerchief Cuffs and Skirt Hem with Tulle Organza, Fashion Clasp. 1pc. Pleated Novelty Fabric Puff Dress with Buttons Down Front. 2pc. 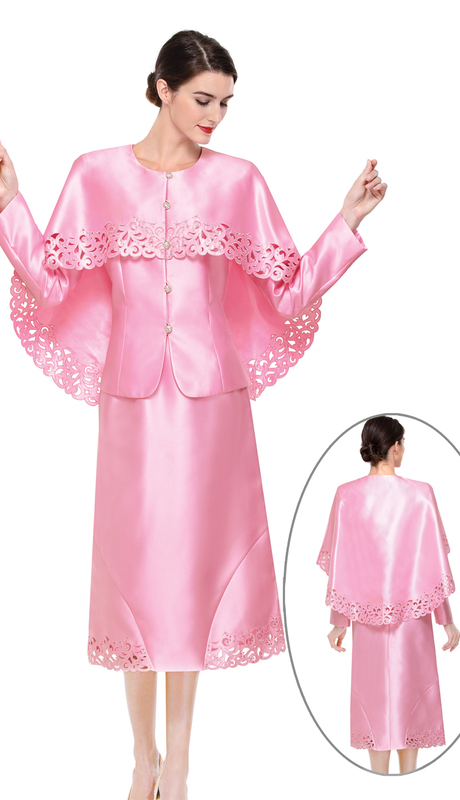 Cape Look Peplum Jacket with Fashion Brooch and Flare Skirt. 2pc. Mock Shawl Look Over Collar Novelty Fashion Abstract Design Womens Suit with Flare Skirt. 2pc. Novelty Lace Embroidered Look Fabric with Wing Collar and Four Novelty Buttons. 1pc, Novelty Fabric A-Line Dress with Absract Print and Angel Sleeves. 2pc. 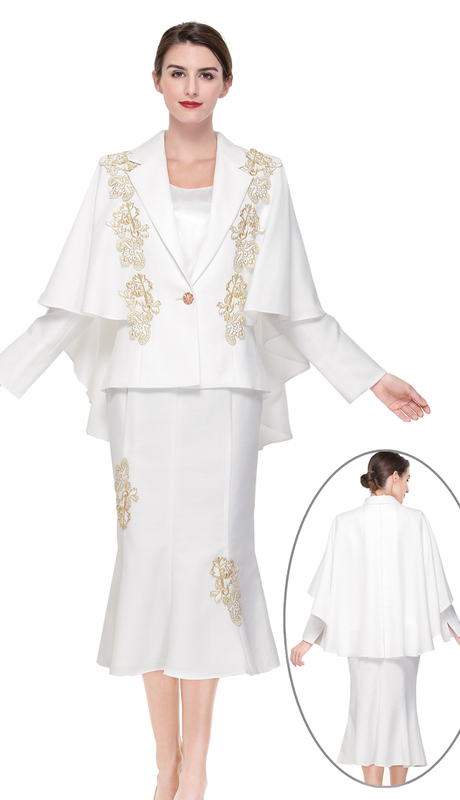 Womens Silky Twill Church Suit with Cape Style Jacket Adorned with Laser Cut Embroidery on Jacket and Skirt. 2pc. Tonal Stripe on a Pleated Peplum Jacket and Skirt with Fashion Clasp. 2pc. 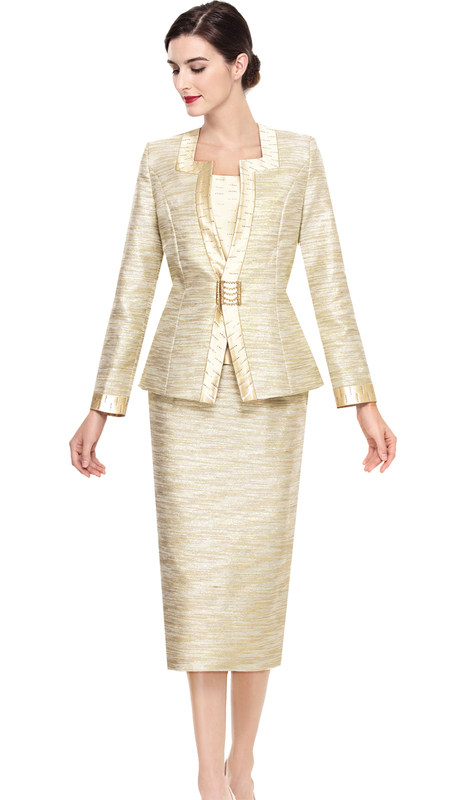 Novelty Fabric Flared Skirt Suit with Cape Style Jacket and Golden Thread Applique Embroidery. 2pc. 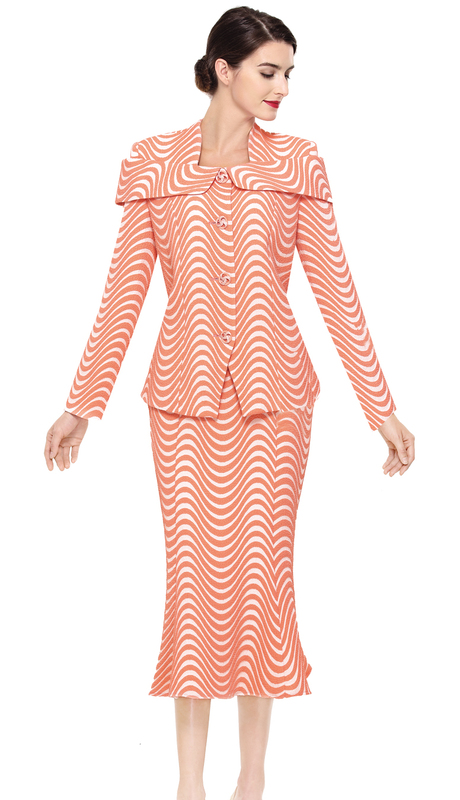 Novelty Fabric Chevron Detail with Peplum Jacket with Asymetrical Satin Binding and Chevron Pattern Skirt. 2pc. 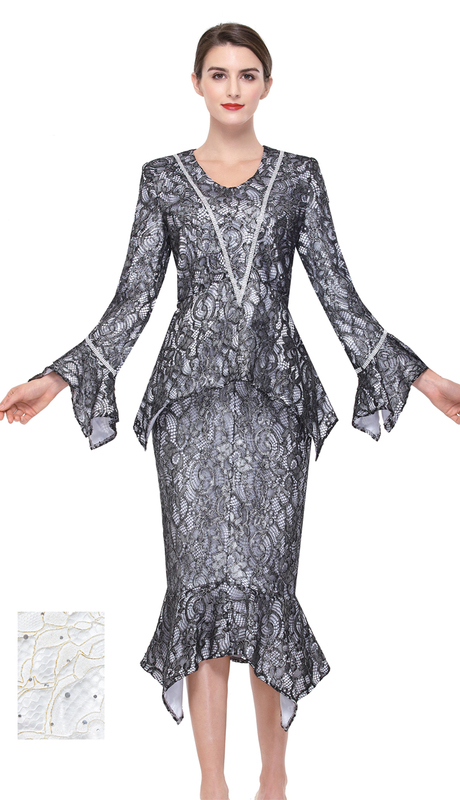 Lace Novelty Fabric with a Strand Bead Detail on the Flounce Jacket Top and Flounce Skirt. 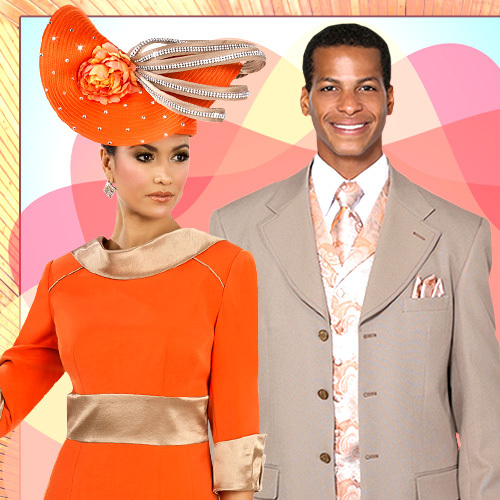 Three Piece T. Crepe Ladies Classic Church Outfit With Long Skirt.